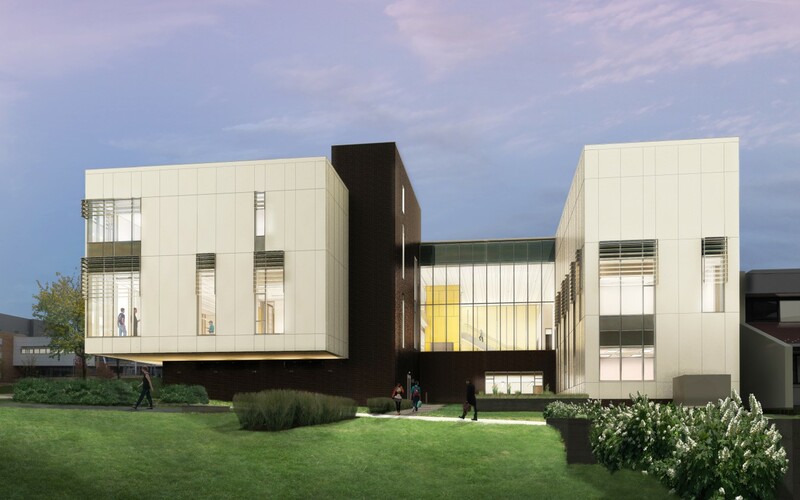 Montgomery College engaged Ziger/Snead to implement the next phase of the master plan for their Germantown Campus, which involves an addition and partial renovation to their existing Science and Applied Studies (SA) Building. Begining with a robust programming and feasibility study, the design team was challenged to phase the renovation and addition in a manner that would allow continued operation of a significant portion of the building. The resulting concept divides the building and focuses the renovation and addition on the new quad side. Deriving from the earth sciences and applied mathemenatics departments to be housed in the building, the architectural scheme envokes concepts of shifting tectonic plates. Long linear elements define large programmatic spaces leaving spaces in between for commons and informal gathering. The landscape is an extension of this concept. As most of the existing second floor uses within the building are being relocated to the Bioscience Education Center and the first floor uses will be relocated to the Student Services Center, the building will be renovated and reconfigured in two phases to allow for new academic uses. 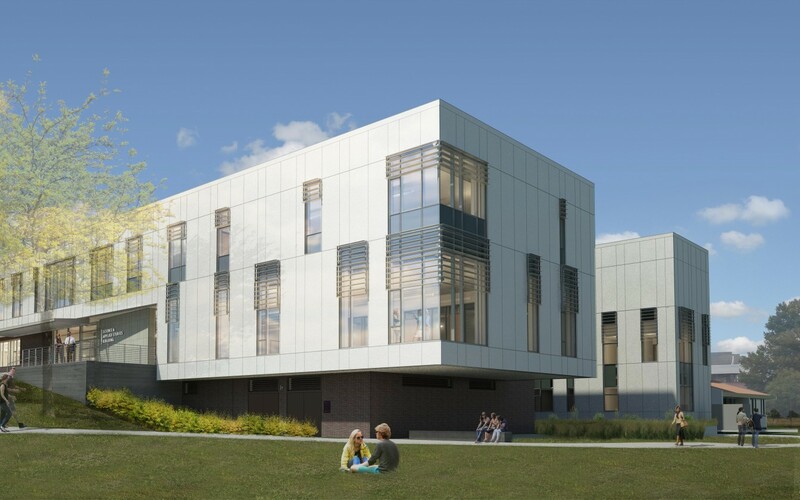 The proximity to the Bioscience Education Center will allow for shared use of facilities within both buildings, such as the MAPEL Center in the Physics, Engineering & Mathematics Center and the Science Learning Center in the Bioscience Education Center.